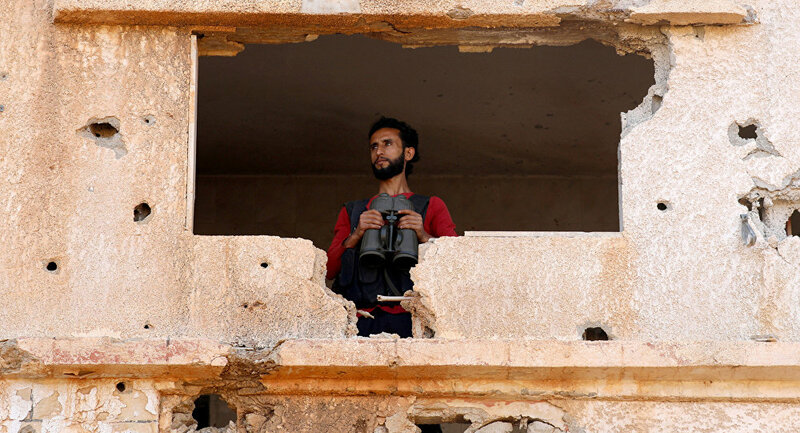 The Syrian government forces, jointly with the Free Syrian Army, has repelled a spate of al-Nusra Front* attacks in the country's southern de-escalation zone, according to a Saturday Russian Defense Ministry announcement. Syrian rebel factions should not rely on US support in their fight against government troops in southern Syria, according to a copy of Washington's message obtained by Reuters. "You should not base your decisions on the assumption or expectation of a military intervention by us," the message in particular said, adding that the US government "understands the difficult conditions you are facing." The remarks came after the Russian Defense Ministry reported that at least five Syrian soldiers were killed and 19 others injured in an al-Nusra Front attack on government forces in the southern de-escalation zone. According to the ministry, FSA units had joined the government forces in 11 settlements in the south of the country in order to fight al-Nusra Front and Daesh** militants. The situation in the area has escalated now that the Syrian Army has launched an anti-terrorist operation there. Earlier this week, US Ambassador to the United Nations Nikki Haley voiced hope that Russia will "do its part to respect and enforce the ceasefire [in Syria] it helped establish." Haley also urged Russia "to use the influence it has to stop …any further destabilizing action in the southwest and throughout Syria." She pointed the finger at Russia which Haley said "will ultimately bear responsibility for any further escalations in Syria." With most of Syria's territory already liberated by the government forces backed by the Russian Air Force, there are still some terrorist pockets located mainly in the southwest US-controlled areas. A total of four de-escalation zones have been established in Syria after the Astana peace talks, including a southern de-escalation zone located in the country's Daraa and Quneitra provinces.